The wait is over for the PhiLSAT results? See below for the complete list of PhiLSAT passers who took the exam last September 23, 2018. Are you now planning to take the next PhiLSAT? 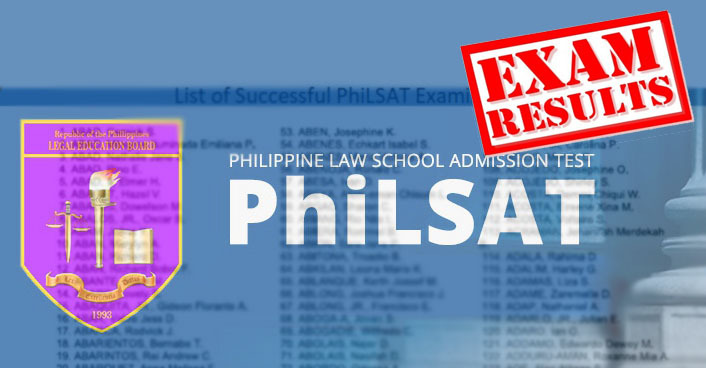 We can help you get a high score and impress your preferred law school with your PhiLSAT score. The latest copy of UPLAE/PhiLSAT 2-in-1 Reviewer will surely help you pass the PhiLSAT. To reserve a copy, just fill out the online form and our salesperson will contact you within 24 hours. For immediate reservation, you may also text the following details at (+63) 918-661-0099: (1) full name, (2) preferred mode of delivery, and (3) complete address. Please note that we have two delivery methods: (1) meet up in UP Diliman or (2) shipping via LBC or Fastrack Courier. Only transact with the authorized salesperson. VILLALON, MARIA ANDREA PATRICIA D.R.